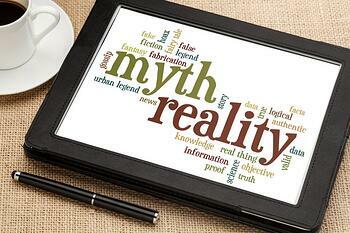 4 Most Common Radio Advertising Myths Busted! In my line of work, I have the pleasure of interacting with marketing directors and business owners every day. In my tenure as a radio sales rep, and now General Sales Manager, I’ve encountered lots of objections (I like to call them myths) when I try to get someone to advertise on our stations and/or websites. You may believe some of these myths yourself. My goal is not to “sell” anyone on anything. My goal is to consult my prospects into making an educated decision for their business. Myth 1: I can’t track my radio advertising. The might be the biggest misconception about the radio industry. In all advertising, not just radio, you should ask yourself “How will I measure this?” Once you’ve determined what success is, and conversely is not, you’ll know what metrics to track/measure to get you there. What are some metrics you can track? Again, those are just a few of the items you can track. Whichever one you choose, make sure your message is consistent with the goal. For example, if you’re tracking new customers, then your call to action in your ads shouldn’t be to visit your website for more information. Being able to track your advertising is one of the core concepts of the BrandsFormation System. Here are a few more tips from Wizard of Ads author Roy Williams. Myth 2: Radio is too expensive. This is another misconception I often hear. However, the real question you should be asking is “Do I believe I can get a return on this investment?” If not, then you shouldn’t buy it. Even if you have a small marketing budget, you can still have a fantastic return. Regardless, dollar for dollar, radio is one of the most efficient media you can invest in when it comes to reach. Both billboard and radio advertising provide advertisers with an excellent CPM, or Cost per Thousand. Radio is only expensive if it doesn’t work. The same goes for any form of advertising. It’s my job to help make it work so your business can grow and succeed. Myth 3: I don’t listen to your stations. Remember to aim for the inside of the heart and mind of your consumer, not your own. What you, your family, friends, or employees listen to should have no barring as to where you invest your marketing dollars. For example, let’s say you’re the owner of a flower shop. Even though your favorite music might be classic rock, your target demographic will prefer top 40 music or contemporary hits. You’ll get the most success by advertising on those formats because that’s where the majority of your demographic spends their time, even if you do not. Myth 4: I use word of mouth advertising. Word of mouth is an excellent form of advertising. But only when the message being shared is what you want. That’s the difficult part about word of mouth. You can’t control what people say about your business, or how fast the word spreads. Think of radio like word of mouth advertising on steroids. The best part is YOU control the message and what people hear about your business. In the end, what really matters is the message, not the medium. You can get results with any form of advertising, but you have to have a strong message to break throuh the clutter. Look for a company who is willing to be your marketing partner, not just one who’s going to sell you some radio ads.